If you've just about recovered from hearing the news that Beyoncé is performing at the 2016 CMAs on Wednesday night, then prepare yourself because there could be even more surprises where that came from. 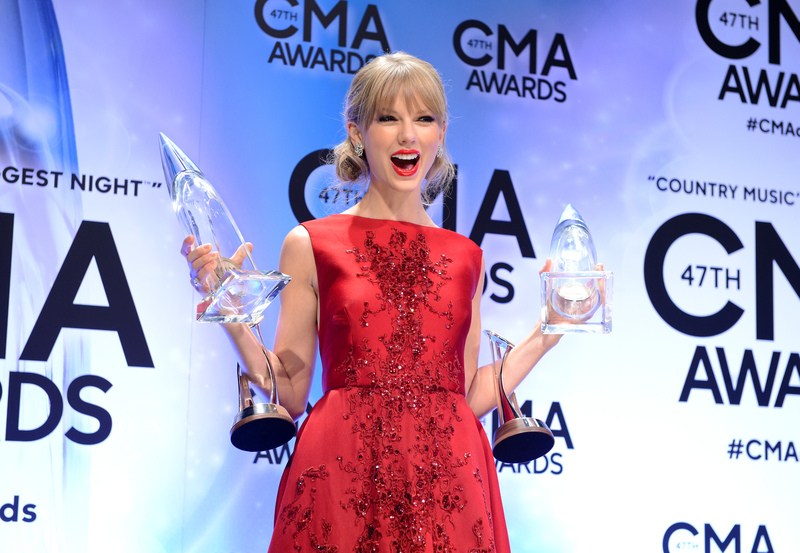 US Weekly is reporting that Taylor Swift may be performing at the 2016 CMAs too. If this is all true, then, my goodness, are we in for a big time country music treat. In the article in question, a source has apparently suggested to the magazine that this could indeed be the case, as well as stating that the singer is currently in Nashville, where the awards are taking place. It's worth noting that Swift does actually have a home in Nashville, so it could just be that she's simply checking in with that abode. But to do so during the time of the CMAs feels as though it could be much more than just a coincidence. I don't want to get ahead of myself here, because my brain has just exploded into pop fantasy, but could you imagine if it turned out that Bey and Swifty were going to surprise the world with a country duet out of the blue? I mean, it seems unlikely but still, let a girl dream. All pop fantasies aside, Swift has her roots in country music and is a 25 time nominee and 11 time winner of various awards at CMAs in the past, so it kind of always feels as though the singer belongs there — even as her music has developed away from the genre over time. It's also interesting to consider Swift's potential surprise appearance alongside Tuesday's news that Swift wrote Little Big Town's "Better Man". Little Big Town are nominated in the category of Best Vocal Group for 2016, as well as said to be performing at this years CMAs. Could it be, then, that Swift may be joining Little Big Town on stage at the award ceremony to help sing the song she ghostwrote for them? It would definitely make for an arresting, and surprising, performance given that fans only found out about Swift writing "Better Man" the day before the CMAs, but, it could also provide Swift with some public closure from her breakup with Tom Hiddleston — about whom "Better Man" is speculated to have been written. With Swift's only live on-stage appearances of 2016 including her spectacular performance of "Out Of The Woods" at this year's Grammy Awards and a show at the Formula 1 United States Grand Prix in Austin, a surprise performance at the 2016 CMAs would be one well deserved by eager fans. Whether Swift actually confirms rumors by taking to the stage on Wednesday night (and whether such a performance could involve Beyoncé or Little Big Town) will remain to be seen. Personally, I'm holding my breath in anticipation that she could potentially turn up and totally take the CMA storm by stage. So let's all cross our fingers that this turns out to be the case when the 2016 CMAs air live on ABC on Wednesday, Nov. 2, at 8 p.m. ET.